Colin's career was mostly as a partner with The Boston Consulting Group, mainly working with clients on strategy and organisation issues. 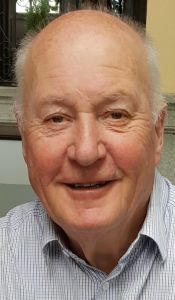 Later in his career, he was engaged in governance issues and carried out reviews of board performance for many companies and non-profit organisations. He co-authored a book on governance, Back To The Drawing Board, published by Harvard Business School Press in 2003. Now retired from full time consulting, he is still an Adviser to BCG. He is also a non-executive director of two public companies – SEEK and Lend Lease, and until recently, Wesfarmers. Colin is a director of World Vision Australia and is also chairman of the Geelong Football Club. He formerly served as an AFL Commissioner. 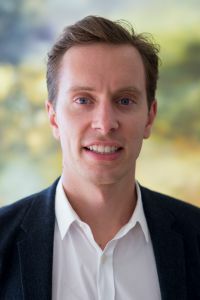 He has also worked with a number of not-for-profit organisations including several organisations working with Indigenous Australians and was a co-founder of Jawun which helps to channel corporate support to Indigenous leaders. Colin also has an MBA from Harvard University where he graduated with Distinction and as a Baker Scholar. Ms Dwyer is the Chairman of Tabcorp Holdings Limited, Chairman of Healthscope Limited, director of the ANZ Banking Group and Lion Pty Limited. Ms Dwyer is a member of the International Advisory Board of Kirin Holdings of Japan.Ms Dwyer is a Chartered Accountant with strong financial and commercial experience. Her executive career was in investment management and investment banking.Ms Dwyer’s past appointments include serving as Deputy Chairman of Leighton Holdings Limited and as a Director of Suncorp Group Limited, Astro Japan Property Group Limited, Fosters Limited, Healthscope Limited, Promina Group Limited, David Jones Limited and RACV Ltd, as a Member of the Victorian Casino and Gaming Authority and of the Victorian Gaming Commission, as a Deputy Director of Emergency Services Superannuation, VicSuper and Government Superannuation Office and as the Deputy Chairman of the Baker IDI Heart and Diabetes Research Institute. Ms Dwyer is a former member of the Takeover Panel and the ASIC External Advisory Board. 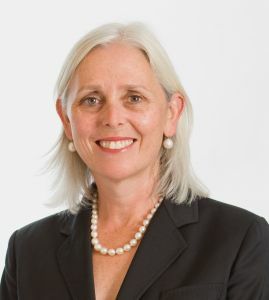 Ms Dwyer holds a Bachelor of Commerce Degree from the University of Melbourne, is a Fellow of the Institute of Chartered Accountants, a Fellow of the Institute of Company Directors and a Senior Fellow of the Financial Services Institute of Australia. After graduating in Commerce and Arts in 1961 Jim Short commenced a distinguished career in the Federal Treasury, Federal Parliament and private sector. His Treasury positions included Chief of Staff to the Treasurer; and Senior Treasury Representative to Britain and Europe. From 1975-80 he was a Member of Federal Parliament; a Senator from 1984-97; and a Minister in the Howard Government. In 1997 he was appointed to the Board of the EBRD in London.From 2000 Jim served as Australia’s Special Envoy for Cyprus; Chairman of economic consultancy ACIL Tasman; Executive Director and President of the Australia China Business Council in Victoria; and Council Member and Advisory Board Chair of the Australian Institute of International Affairs (Vic).With Professor Jeff Borland, Jim co-founded in 2007 the annual Future Leaders Forum for the Faculty’s top 100 students; and has maintained an advisory role since then. He was co-Chair of the inaugural Business and Economics Alumni Council and a member of the first Business and Economics Board and Foundation.Since 2013 Jim has been a mentor to Copland Scholars and other business students. An individual who is under 35 years of age and has demonstrated an outstanding level of professional achievement and community involvement since graduating from the University of Melbourne and/or recognition by colleagues and peers of outstanding leadership and impact as a global citizen. Mr Lock graduated with a Masters of Applied Finance while working full-time as a fund manager. His career has mainly been dedicated to Funds Management, working with un-listed and listed funds-managers and family offices, before starting the Impact Investment Group (IIG) in 2013 with Daniel Almagor and Berry Liberman of Small Giants. IIG is a fund manager that delivers attractive commercial, social and environmental returns across sustainable real estate, renewable energy infrastructure and venture capital. 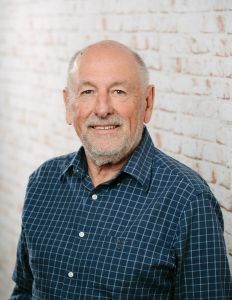 In the years since establishing the Impact Investment Group, Mr Lock has led the company from its first investment in a small commercial property in Byron Bay, to having a client list of more than 300 co-investors from around the world with more than $500m in assets under management. IIG now owns and operates a portfolio of solar farms from the ACT to WA in Australia’s first Solar Investment Fund and recently partnered with Lendlease to deliver Australia’s tallest timber office building.